Canadian Prime Minister Justin Trudeau speaks at the G7 Summit in Canada on June 9, 2018. Canada, with the help of some of its G7 partner countries, spearheaded an effort to provide $3.8 billion in education for some of the world’s poorest girls and women, the BBC reported. Announced Saturday at the G7 summit in Quebec, CBC reported that Canada, the European Union, Japan, Germany and the World Bank will work in cooperation to deliver the funds, which will go to providing job skills for women; improving teachers’ training; improving data collection about women’s and girls’ education; supporting education equality in the developing world; supporting innovative curricula, especially for refugees and displaced peoples; and promoting cooperation between educators and humanitarian workers. According to the Canadian government, this is “the single largest investment in education for women and girls in crisis and conflict situations,” the BBC said. 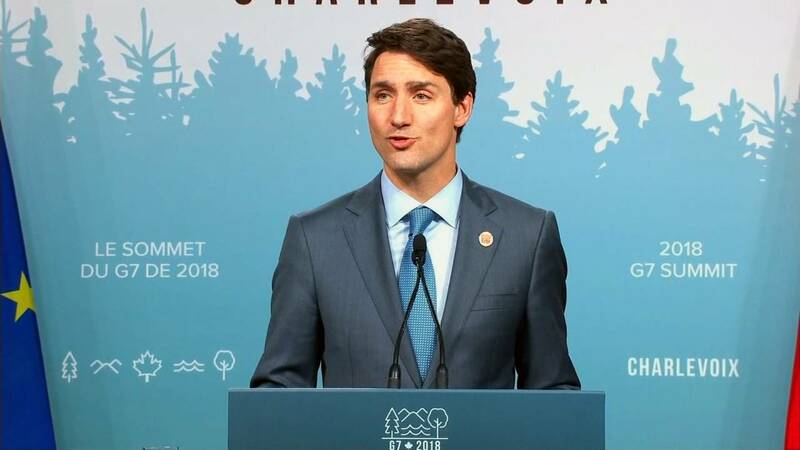 “We need to work together to ensure all women and girls have access to quality education and modern skills training,” Canadian Prime Minister Justin Trudeau said during the announcement. The move was hailed by Malala Yousafzai, the 20-year-old Afghani Nobel Prize winner who is a major proponent for women’s and girls’ rights. The U.K. committed $250 million to the fund, Canada committed about $310 million and the World Bank will contribute $2 billion over five years, the BBC reported. A spokesperson for Trudeau’s office confirmed the United States did not commit any funds to the project, CBC said.